Disclaimer: This article contains major spoilers. I’ve watched a lot of documentaries that follow the stories of stalking victims. A lot of these documentaries are narrated by the victims themselves and it takes the viewer into a detailed walkthrough of horrifying experiences that no one deserves to go through. While other victims make it out unscathed and eventually get the justice they deserve, others aren’t so lucky. This is what Netflix’s newest psychological thriller imparts but instead, we are taken to the other side of the coin: The deepest and darkest thoughts of a stalker-slash-murderer. 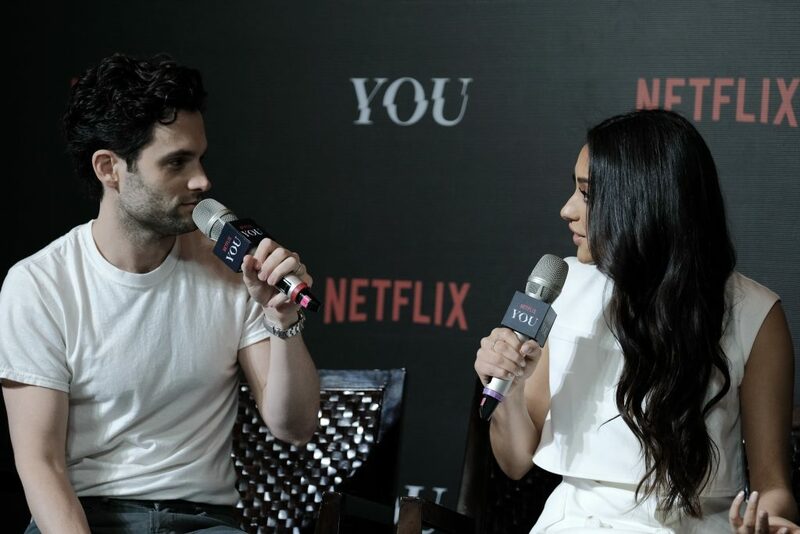 The stars of You, Penn Badgley and Shay Mitchell, are here in Manila to promote the show for a two-day event. On Jan. 15, the stars are set to meet with their fans in an event at the Greenbelt Gallery, second level of Greenbelt 5. 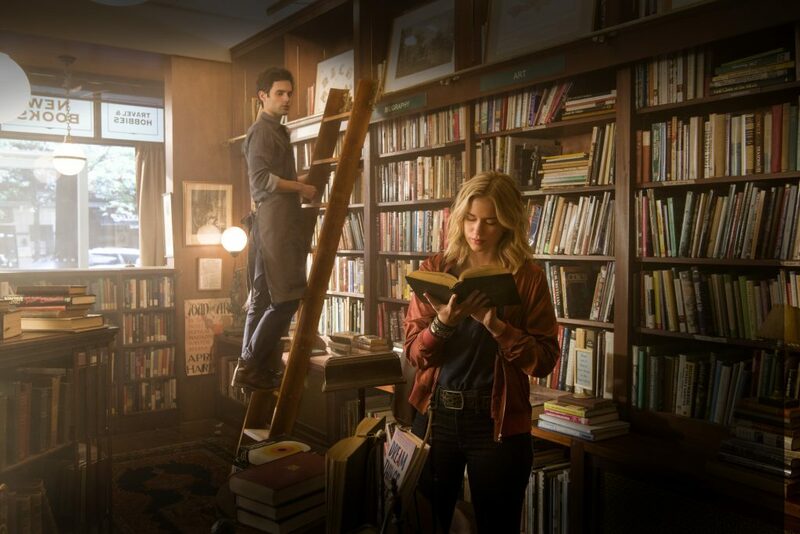 Based on a novel by Caroline Kepnes, You follows Joe (played by Badgely), a long-time manager of a boutique bookstore, and his pursuit for aspiring writer Beck (played by Elizabeth Lail)—but it isn’t a typical boy-meets-girl story to begin with. Joe is a major stalker and has gone the extra mile to “protect” Beck from “dangerous people.” On the other hand, Peach (played by Mitchell), Beck’s best friend, has been wary of Joe since day one. Together with select members of the press, Nolisoli had the opportunity to sit down and talk to Penn and Shay about their their characters’ complexities, romanticizing charming characters, being objectified, and more. Thanks to Joe’s obscene stalking skills, it was found later on that Peach was also Beck-obsessed. Shay, the actress who plays Peach, thinks that her character and Joe share a lot of similarities. “She had photos, she did her own sort of creeping and stalking. The only difference was that she’d already known Beck for so many years,” she said. But this doesn’t mean that we should be accepting of people like Peach. “We all go through difficult things but that doesn’t give us an allowance to be a mean person. I may not like somebody that my friend’s dating but I’m not gonna go out of my way to stop them. 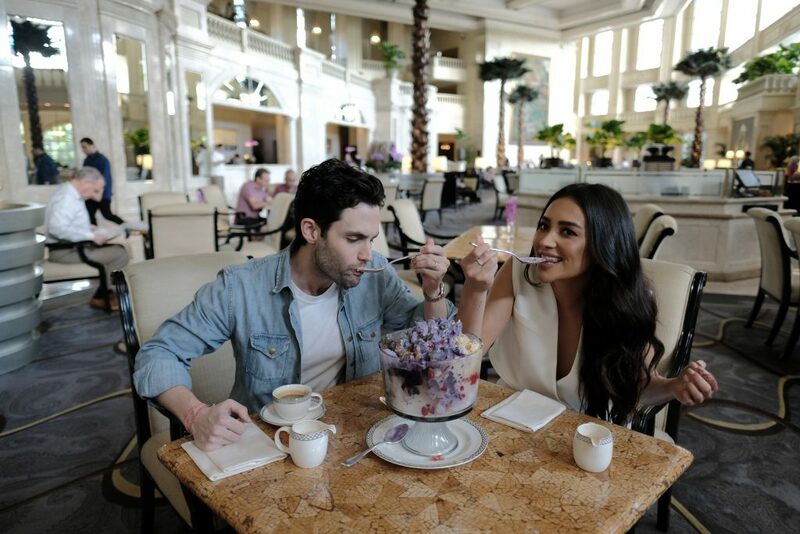 I just focus on my own life and I think that that’s what she lacked,” Shay explained. For those who have seen You, I think we can all agree that Joe is pretty charming (it’s just Penn, really) but this, in any way, doesn’t excuse him from his behavior. In fact, fans have taken to social media how “in love” they are with Joe despite him being a murderer. Penn, on the other hand, has been very vocal against viewers romanticizing his character. But Shay thinks that the outlook would’ve been a whole lot different if we replaced Joe with an unattractive person whom people didn’t know. “My friends even say like ‘I want a Joe’, I’m like ‘No, you want Penn Badgley to follow you,’” she continued. “Let’s remember that this person is a bad person and no one wants a stalker. There’s a difference and a very thick line between adoring somebody and being obsessed with somebody. No one wants that,” she said. “And if you see all of his charm as unconscious manipulation, which is the way most people do manipulate, it’s not conscious. A lot of people are trying to be good [but] you know, they do terrible things. So I think I would just encourage viewers to watch it again. It’s terrible advice,” he joked. 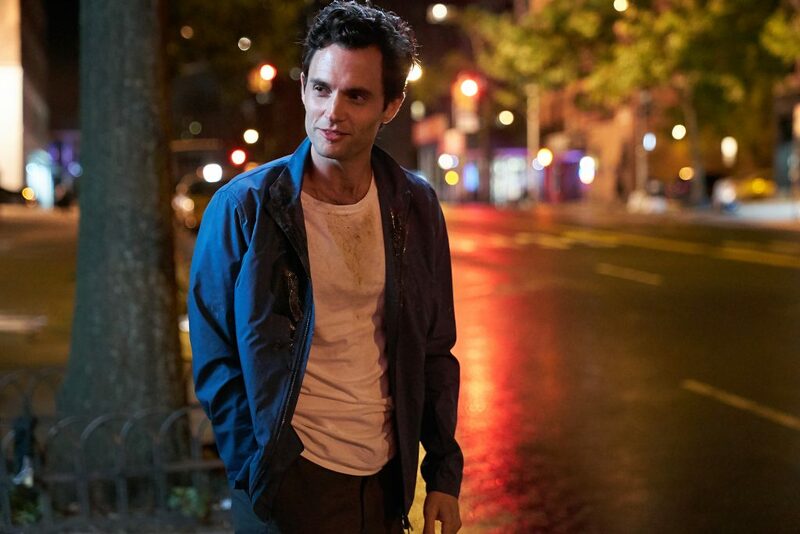 Penn, who rose to fame from playing Gossip Girl’s Dan Humphrey, thinks that Joe is his most challenging role yet. He recalls that one of the most difficult and disgusting scenes to shoot was his masturbation scene outside Beck’s apartment. “It’s funny because they wanted me to close my eyes and I remember being like ‘No, why?’ and they were like ‘It’s too creepy when you have your eyes open,’ and I’m like, ‘What do you mean? What are you talking about? What are we doing?’” he laughed. On real-life stalkers, are there any? Because Penn and Shay play stalkers on screen, I just had to ask: Do they have stalkers in real life as well? Season 1 of You is now streaming on Netflix. Follow Netflix PH for upcoming news on season 2.